The circle of life. My grandmother meets her new great grandson during her last days. If you’ve ever been present when life has entered the world or has been exhausted from it, count yourself blessed. Being present for these events has helped me to appreciate the inherent power of Pranic energy. Prana, life-force, chi, this phenomenal spirit that we harness through the breath, makes all the difference. The longest few seconds ever to elapse in my life were from when my children were born to when they took their first breath and let out their first cry. In that instant, their little bodies started to pink up, animate, fill with vitality, and they began their relationship with this wonderful force of life. Every breath we take is a celebration of life. Through the practice of prāṇāyāma we take the time to really appreciate that fact. We take time to explore and to harness this divine, life-giving energy. Creating awareness, control, and a relationship with the breath deepens our yoga practice and can enhance our lives. At the end of life, the breath begins to subside. As it does, the physical body begins to shut down and surrender. When the last exhale occurs, life exits. Several years ago, when my grandmother’s health declined, she was placed in hospice care at my sister’s home. The family and nurses tended to her care as her coherence and vigor began to fade. During this process her breath declined too. No longer deep and relaxed, it was short and labored until it turned into a “death rattle”, a shallow gargling breath. Over the last few weeks as her breath began to surrender, you could see the life drain out of her. 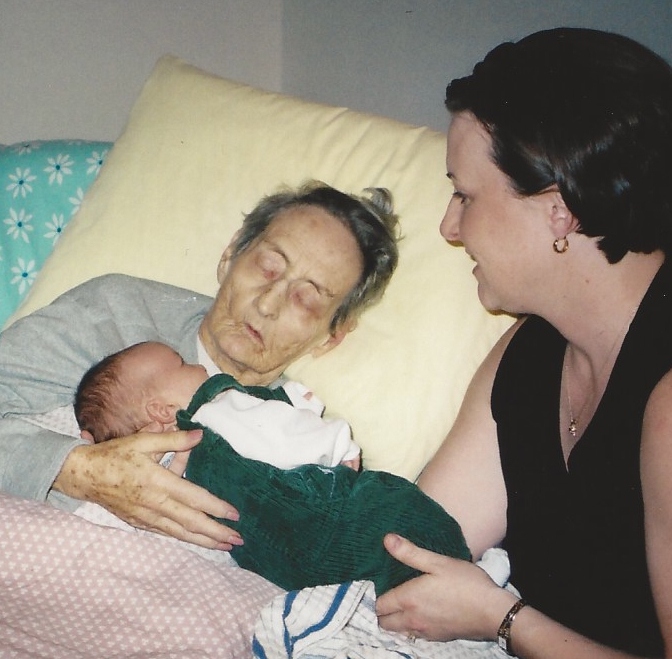 Honoring the beginning and end of life is a privilege. Being present for each breath and each moment in between is a lesson that I’m beginning to understand through my yoga practice. Now is the time to take part in the celebration of life. Use the breath to create a party of energy coursing throughout your body, so much so that you have sensations all the way to the tips of your fingers and toes, or so you can feel your love of life bursting from your heart.